Prince Pratap Sinh Serfoji Rajebhosle released a book on the artistic legacy of his ancestors. It coincides with the staging of a dance drama on the same theme by Apsara Arts Singapore today. CHENNAI: The pieces in Bharatanatyam and Carnatic songs that we have today are all thanks to the kings who ruled Thanjavur. 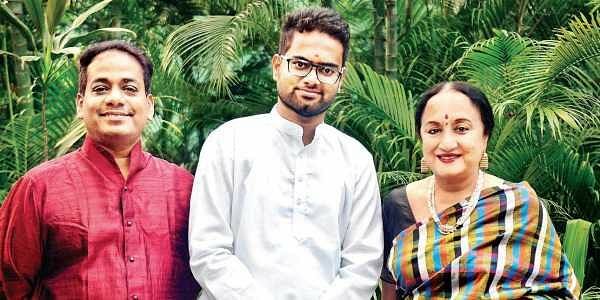 “Around 12 Maratha kings ruled Thanjavur and they were great patrons of the arts — dance and music,” shares Prince Pratap Sinh Serfoji Rajebhosle, the sixth descendant of the last Maratha king. 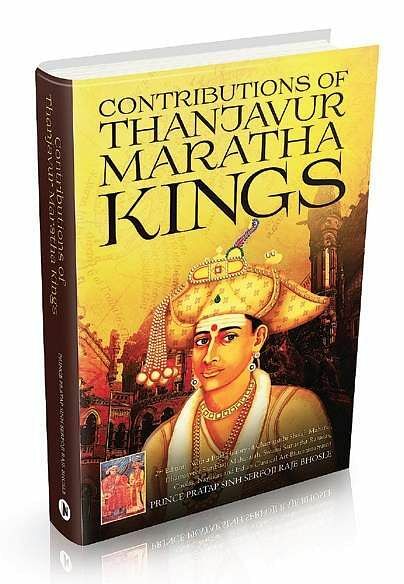 He has come out with the second edition of his book, Contributions of Thanjavur Maratha Kings, which includes more stories and rare photographs. The book release coincidentally happened at a time when Aravinth Kumarasamy, artistic director, Apsara Arts Singapore, decided to bring his production, Tanjore: The golden age for Bharatanatyam, to the city during the Margazhi season. “We staged the production last year in Singapore and it was about how music and dance was influenced by three eras of rulers — Cholas, Nayakas and Maratha — in Thanjavur. We were waiting to bring it to the city for the Margazhi season and it is purely coincidental that Prince Pratap also released his second edition,” he smiles. For the production, all the research was done by the Apsara team and they have not used any references from the book. But the story is same. “We have focused on one character called Kamakshibai, who was instrumental in fighting the British and getting back what is ours. 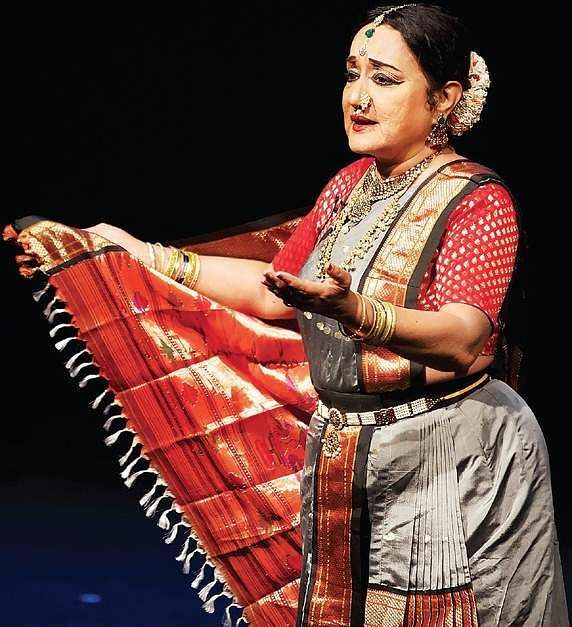 In the production, danseuse Lakshmi Vishwanathan portrays the role of Kamakshibai. She will be the sutradar (narrator) of the dance drama and will take you through the three eras,” he explains. For the uninitiated, Kamakshibai was the wife of the last Maratha king Shivaji II. As they did not have any children, due to Doctrine of Lapse, all the property and everything they conquered went to the British East India Company. She challenged that decision in Madras and Bengal, but they favoured the British. She then went to London and challenged the court there. The public supported her and she got back the Saraswathi Mahal Library and many temples that we see in Thanjavur today. Naturally, Lakshmi is thrilled to portray such a strong character. “I have read about Kamakshibai in history books and have also done intensive research on how a great empire became a district. Through the sutradar’s role, I wanted to showcase how Bharatanatyam evolved during the Maratha period. But for them we won’t have Thanjavur quartet varnams,” she explains. Pratap, in his book, shares how these kings allowed scholars to propagate dance and music. “The kings, especially Serfoji II and his father Taluja II, loved arts. They would name streets after these scholars. And not just the Maratha rulers, even the Cholas and Nayakas, have presented them with lands to encourage their work,” he adds. This made the scholars also come up with a popular varnam called Sarabhendra Bhopala Kuravanji, dedicated to King Sefoji II. “It was and still is performed in the Brihadeeshwara temple as part of a ritual,” beams Pratap. Pratap started working on the second edition in March this year and was printed early this month. “The book also has two rare photos of King Serfoji in Thanjavur painting. This was available in Madras Government Museum and they gave me the permission to publish,” says the prince, who also restores photos from his archives. King Serfoji II is said to have performed the first cataract operation with his own hands. He was also a member of the Royal Asiatic Society of Great Britain and Ireland.